DIAGRAM WE GET IS SHOWN ON RIGHT HAND SIDE OF THE FIGURE. SO THAT IS WHAT WE HAVE DONE MATCHING SOLID SHAPE WITH NET DRAWING. Answer: Here you get answer by cross multiplication. The method shown above for finding HCF is easy for children to grasp. 1,2,3,5,7,11,13, 17, and 19. These numbers can calculate HCF or LCM for numbers from 1 to 400. 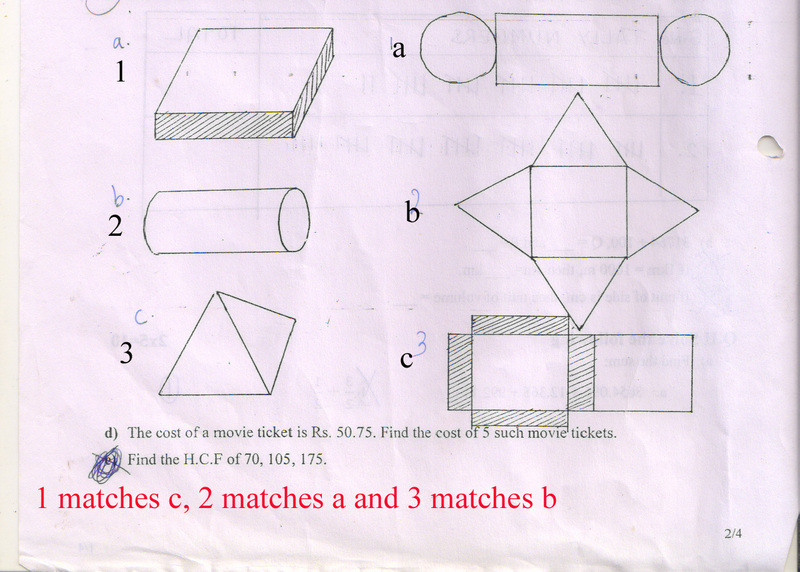 In exam I do not think that teachers would ask to calculate HCF for numbers greater then 400. For numbers from 1 to 100 you need to remember prime numbers 1,2,3, 5 and 7.